With anticipation of the US release of the Samsung Galaxy S3 mounting, both Verizon and AT&T preemptively eschew large data transfers by not participating in the free Dropbox promotion offering 48GB of storage. On a Dropbox support page about the new Samsung mobile tech, the company reveals that the two largest mobile carriers offering plans for the Galaxy S3 won't be taking full advantage of the built-in Dropbox software by way of a 2-year promotion for free cloud storage. The other carriers supporting the Galaxy S3, T-Mobile, US Cellular, and Sprint, will participate in the program. As soon as consumers with these carriers turn on their new Galaxy S3's and register for Dropbox through the device (involves a five-step process) they'll have access to at least one year of free data storage at 48GB. It's not yet been confirmed which carriers will offer the one-year or two-year deal. Regardless, they'll be making good on the initial promise of the Galaxy S3 to offer an unprecedented amount of free cloud storage space. Verizon and AT&T, on the other hand, will keep a tighter leash on data transmissions for its customers. This could be a precursor to the announcement of proprietary cloud storage services from the mobile giants, or it could be a response to the announcement (or suspected announcement for AT&T) of shared data plans for 4G users. 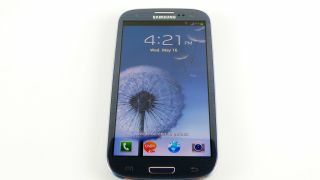 With 16GB and 32GB versions of the Galaxy S3 already populating the European market, international users are seeing the benefits of this large, online data pool. T-Mobile customers in the UK can make the most of Dropbox's offer with an unlimited 4G data plan, a service that's quickly becoming a relic in the US. It stands to reason, then, that Sprint and T-Mobile users with unlimited data plans in North America will benefit the most from this hefty promotion. Customers who do take part in the Dropbox promotion are actually receiving 50GB free, with 48GB from the promotion and the standard 2GB free for signing up. Additional space can be added (up to 18GB more) by netting 500MB for every referral to Dropbox that becomes a Dropbox customer. That means the total free space a Galaxy S3 user might have during this promotional period could add up to 66GB, or one and one-third dual-layer Blu-Ray discs. More practically, that's enough space to store roughly 660,000 word documents. Without a promotion, this much storage would cost $99 per year for each user directly from Dropbox. In perspective, the opt out by AT&T and Verizon seems a costly cut to the consumer. Because the Galaxy S3 runs on Android's Ice Cream Sandwich, Google Drive's free 5GB offering is also a viable option with supporting software. In today's media-hungry marketplace, space for 1280 songs just may not be enough. For US consumers who do get to enjoy the Dropbox promotion outside the influence of AT&T and Verizon, the incoming overcast of cloud storage will continue to change the status quo.